Discover how your sales strategy can cover all possible angles, and how to add more precision with prospecting in this post from LinkedIn Sales Solutions. The human brain is a multimodal learning device. Not all people process information the same way – and each person has a unique and complex system of thinking and understanding. Multimodal learning advocates for more than a one-size-fits-all approach, instead looking at different angles and perspectives. With sales strategy, we also want to cover all our angles. You can develop an acute sense of sales intelligence by adding some precision to your prospecting and selling strategies. If you want to pursue these acute tactics (and avoid appearing obtuse to your prospects), here are three examples that show how to narrow your focus. Obtuse: The obtuse seller relies only on tangential information, making widespread assumptions without identifying underlying patterns. Basic research is merely the first step toward understanding client behavior – if this is where you stop you’re only covering some of the angles. Acute: The acute seller utilizes multiple resources to chart client behavioral patterns – creating a repeatable, efficient process. They do so with tools like LinkedIn Sales Navigator which allows for expanded profile views and access to critical prospect information. Want a quick way to get started? Acute sellers look at recommendations their prospects have given to understand the qualities that he/she hold in highest regard. Obtuse: The obtuse seller relies on outdated and impersonal sales tactics. Cold calling is the first culprit, as it limits the ability to connect with clients. Sending blanket messages might seem like a wide-angled plan, but you likely won’t get many positive responses. Without a warm path or lead, you’ll have far less success generating the sale. Acute: The acute seller uses social research to identify warm paths, creating a genuine connection before the initial sales conversation. Filtering your LinkedIn feed to only show news from new connections allows you to track warm lead activity, while filtering by recommendations can identify existing hot relationships. You can then deliver personalized content to these prospects, or send an introductory InMail to introduce yourself or for timely follow-up. Obtuse: The obtuse seller starts the pitch without understanding the prospect’s needs and pain points. The delivery is rote, every word memorized from a previous pitch. Obtuse sellers also focus primarily on themselves and what they are trying to sell, rather than on how they can help the prospect solve problems. Acute: The acute seller looks to gain trust before attempting the pitch by sharing important, relevant updates and participating in group discussions. Understanding prospect needs beforehand can help establish connections. Resist the temptation to pitch too early -- and when you do make contact, know which questions to ask. Listen for any signals that might make you adjust your pitch, and make sure to relate back to what you learned in the research and prospecting phases. Covering all the angles requires extensive research, proactive prospecting, and adaptable selling. 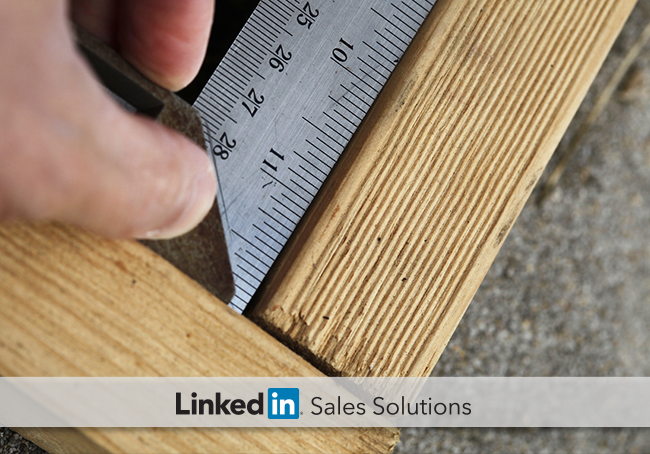 Adding these steps to your sales strategy will help ensure you’re pursuing the right angle. What tactics have you used to maintain an acute sales strategy? Tweet us @linkedinselling.